As we count down to Paint Annapolis 2015, MFA will be featuring one – or two – artists of the day to let you learn more about the artists who are competing and exhibiting in Paint Annapolis. Ned is a very accomplished and highly respected artist, having been drawing and painting for over 60 years. He is a graduate of the prestigious Art Center School of Design in Los Angeles where as still a student he also taught drawing classes. 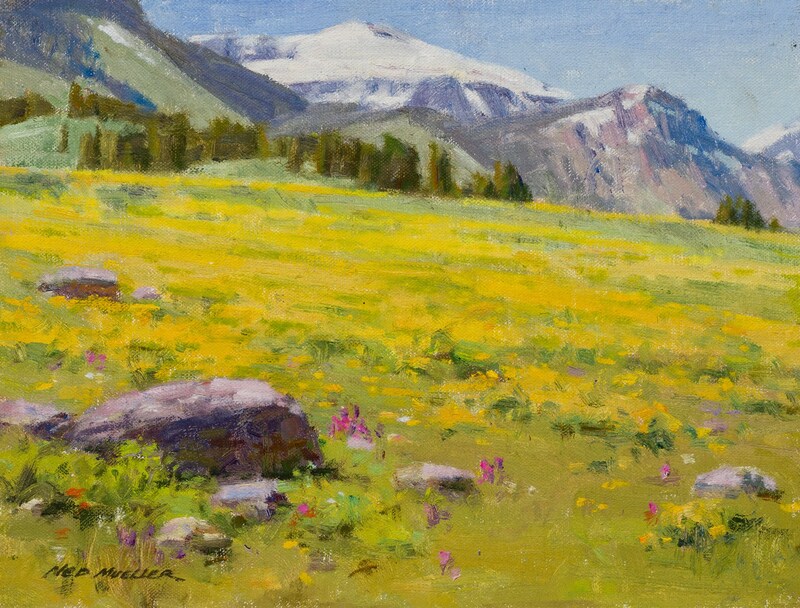 He has participated in many of the major invitaitonal shows in the country, including the “Artist’s of America Show”,”Great American Artist’s Show”, “Prix de West Show”, “Oil Painters of America”, “Laguna Plein Air Show”, “Pastel Society of America”, “The Autry Western Masters Show”, “The Northwest Rendezvous Show” and the annual “Plein Air Painters of America Exhibition. He shows in some of the Finest Galleries in the country, has won numerous awards and is included in many private fine art collections. He is a Signature member of the Oil Painters of America, Plein Air Painters of America, California Art Club, Northwest Pastel Society, Puget Sound Group of Northwest Artists, Northwest Renezvous Group, and the American Society of Marine Artists. Ned has been designated as “Master Artist” status with the Oil Painters of America and he continues to challenge himself to grow artiscally. Ned is asked to jury Regional and National Art Shows and he loves to teach and share his many years of knowlege and experience by teaching classes and workshops, regionally, nationally and internationally.